The superior colliculus activates the zona incerta (ZI), which sends GABAergic projections to the posteromedial (POm) thalamic nucleus. Consistent with this circuit, we previously showed that stimulation of the superior colliculus activates ZI and causes inhibition of neuronal activity in POm (Watson et al., J Neurosci 35:9463–9476, 2015). Other studies, however, have shown that collicular stimulation activates the intralaminar nuclei of the thalamus. The present study extends these reports by showing that unilateral collicular stimulation causes bilateral activation of Pf that is concomitant with bilateral inhibition of POm. The opposing influences of the superior colliculus on Pf and POm are significant, because both these thalamic nuclei innervate the striatum, which is involved in behavioral selection. In view of data indicating that thalamostriatal projections from Pf and other intralaminar nuclei increase the sensitivity of the indirect pathway to corticostriatal inputs (Ding et al., Neuron 67:294–307, 2010), we tested whether POm stimulation might exert an opposing influence on the basal ganglia circuitry. Consistent with POm projections to the dorsolateral striatum (DLS), which is necessary for the expression of sensorimotor habits, we found that POm stimulation activates DLS and causes inhibition of neuronal activity in the lateral part of the substantia nigra pars reticulata, which is a major target of DLS and the direct pathway. 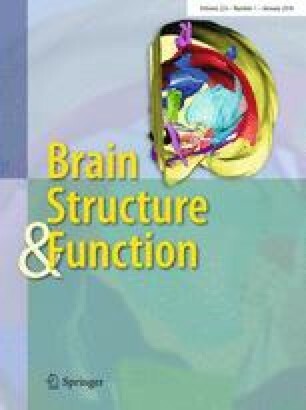 These findings are discussed with respect to clinical reports indicating that deep brain stimulation in ZI is effective in reducing the symptoms of Parkinson’s disease. This work was supported by the Grace Woodward Foundation and Pennsylvania State University. The authors thank Dr. Jared B. Smith for constructive comments on earlier versions of this paper, and we acknowledge use of the Microscopy Core in The Huck Institutes of the Life Sciences at Penn State University.